Property group Citimark has received approval from Ipswich City Council for two major projects which will transform the Ipswich suburb of Silkstone after purchasing the former Bremer TAFE site for $7.5 million. The 14 hectare vacant site is just 2km from the Ipswich CBD and has been earmarked by Citimark for a shopping centre and an affordable residential community. Citimark settled on the site purchase on July 14 following a competitive expression of interest campaign which closed in 2012 and was managed by Ipswich City Council. The corner site fronts Blackstone and Grange roads and sits opposite Silkstone State School. Planned are a 4,950 sqm state-of-the-art neighbourhood shopping centre and a 140-lot housing subdivision, known as Silkstone Residences. Both projects will be launched to the market in coming months. Citimark managing director Angus Johnson said the site’s prime location, lack of supply and its proximity to amenities and transport were major drivers in the acquisition. “It is rare to find such a large site for retail and residential development so close to a CBD,” he said. Mr Johnson said the Ipswich City Council had a long term plan to allocate approximately a third of the landholding to the community for a parkland and sports grounds. Ipswich City Council Mayor Paul Pisasale said the project was a major coup for Ipswich. “This project will deliver affordable housing options to the area as well as a shopping centre and parkland that will benefit the wider community,” he said. The shopping centre will comprise a 4200 sqm full-line major supermarket supported by 750 sqm of specialty retail and food-oriented outlets. There will be on-grade parking for 275 vehicles. Designed by award-winning architects Cottee Parker, the centre will have a mall, food court and central garden-themed atrium, with its fit-out to reflect the heritage of the suburb. Construction on the complex is due to start in September with completion by June 2016. A leasing campaign for the centre is due to start within weeks. Silkstone Residences will feature 91 traditional houses and 49 terrace homes on lots ranging in size from 185 sqm to 500 sqm. All of the homes and terraces will have four bedrooms, two bathrooms and include air conditioning, alfresco verandas, stone benchtops and double lock-up garages. The community will feature tree-lined streets, significant landscaping incorporating native trees, and sweeping parkland views. Stage one of the subdivision will be launched in coming months in a campaign managed by Elders Project Marketing. Mr Johnson said there had been strong pre-launch interest in Silkstone Residences from buyers seeking affordable, modern and centrally located homes in Ipswich. “There’s been a high level of inquiry even though the project is yet to kick off,” he said. 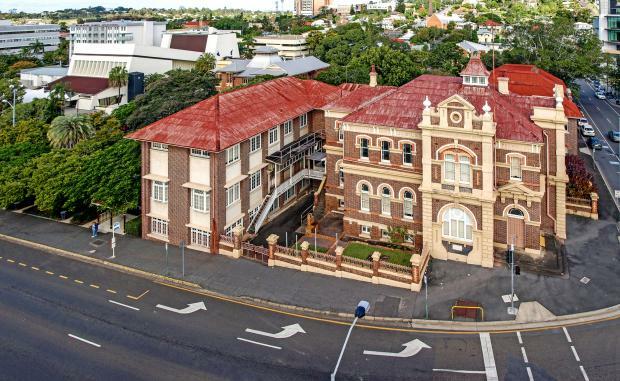 “It reflects the lack of new housing close to the Ipswich CBD, so we are thrilled to have secured this site so that we can meet this pent-up demand. Mr Johnson is overseeing the residential element of the project, while Citimark’s retail director, Jonathan King, is overseeing the retail component. The Silkstone projects are part of Citimark’s $1.8b diversified development book which is currently focused on South East Queensland. Past projects include the $120 million Evolution CBD riverfront residential tower; multi-award winning $95 million 42 level Felix Tower; $155m Central Brunswick riverfront urban renewal in Fortitude Valley; 330 lot Emmadale Gardens residential community in Gladstone; $85m Sub-Regional shopping centre in Melbourne and the 149 lot residential community Parkway Green near Springfield.